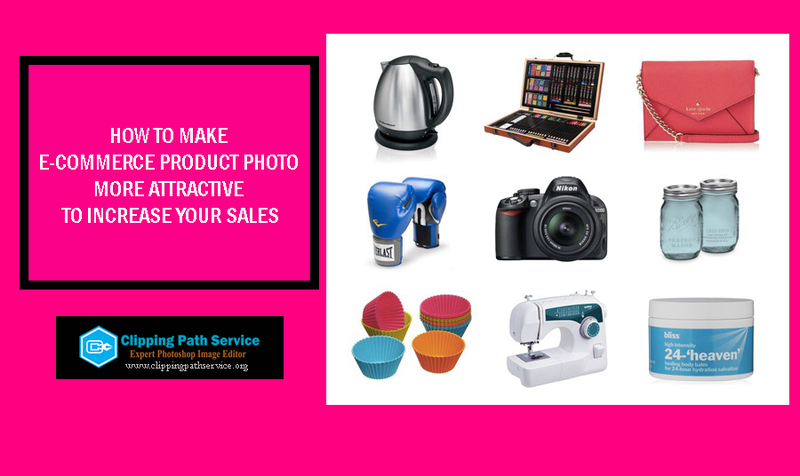 Today we will write some effective and valuable points on how to make product photo more attractive and catchy for your targeted customers. We all know that product photography is the main door to enter or catch the valuable buyers. If our product photos are not gorgeous then we will lose our majority of buyers. So, it’s impossible to ignore the value of good product photography for ecommerce business in order to make more successful leads and sales. But a big question, how to make normal product photos into attractive photos? This is the primary stage to get outstanding and aristocrat product photography. Without having an expert photographer you will never get high-quality photos from your e-commerce product. So, it’s the big challenge to hire best commercial product photographer for your photos. A professional product photographer knows how to capture photos for getting a high-quality result. The place in where you will keep your photos is one of the vital points to get outstanding photos. If your position is not correct then you will lose the quality. Take care the camera lighting, capturing angle, and all other issues which are related to product photography. Tips for photography are not my concern today. Your product photos can be normal or good looking. After taking your product photos you need to enhance the quality of photos. How to enhance the photo quality? This is the second and final stage to make your normal product photo into the attractive and gorgeous look. No matter how your photographer provided the photos. Photos can be normal or high-quality. But if you want to enhance the quality of your product photos you must apply the effective method of Photoshop. If you have proper knowledge of Photoshop then you can do this by yourself. Otherwise, you can hire a professional photo editor. You can read our one informative blog on how to choose best ecommerce product photo editing company. Now I’m sharing some effective points that will help you to make your normal photo into the attractive mode. The background is the main display to represent your product. So, it’s better to use clean and bright background. You can take your product photos on a table or any other places. It’s not a matter. After taking the product you can easily change the original background. We are Clipping Path Service Org has already provided more than 1M photo background removal service. By our real-life experience, almost 80% product photo owners have used solid clean white background. 10% photo owners are using light grey background instead of the original background. Rests of 10% clients are using original background. But they give us their photos for clean the spot from their original background. So, I think you can guess that how valuable and important to change the background. Maybe you know that white background is mandatory for the Amazon product photos. We are providing Amazon product photo editing service by following Amazon requirements. It’s true that no other colored background will not be able to represent a photo as like white background. You can use transparent photo background. But it’s depending on your website background color. So, the background is the first step to make product photo more attractive. Using shadow below the product photo is the more effective and popular way to make product photos more beautiful. Shadow will make your product photos more natural and catchy on your white or grey background. There are different types of shadow. Among them natural shadow, drop shadow, reflection shadow are the most popular shadow types. All type of shadows is not perfect for all types of photos. You can test some different shadows for your product photos. Then decide which is looking best for your photos. Most of the clients of us who have shoes, leather bag, dress are using natural shadow below their photos. Maximum clients who have glass or crystal type product photos are using reflection shadow. Be careful about your shadow quality. Two main points you need to follow for getting a perfect shadow. The first point is the shadow size. The natural or drop shadow should be the same size of the product. Always use the lower part to make reflection shadow. Never use the full photo size for reflection shadow. The second point is the opacity of the shadow. Use 50% or 60% opacity that are perfect for your product photos. You can test our shadow making service for your product photos. Most of the times, your product will have some spot in the photos. So, try to avoid using the original photos with the spot. We are recommending to use Photoshop to remove all the visual spot from the product photos. But be careful so that your spot retouch will perfect. No one can understand that you have retouched the photos. Otherwise, it will be a bad experience instead of the good result. We are providing perfect and high-quality photo retouching service at the fair price. You can use our image retouching service to make your product photos more attractive. Color combination is the vital point to make your product photos outstanding. Without perfect color and brightness, you can not catch the attraction or notice of your customers to your product. The entire professional photographer will try to give perfect color and brightness while they shoot the photos. But they are not a magician. It’s normal case that all your product photos will not have the perfect color combination and brightness. It’s not a problem. You can hire a photo editing company who are providing perfect color correction service. Try to make a perfect color combination and proper brightness for your product photos. Don’t use more bright or more dark color and brightness for your photos. Try to use the natural color combination for your e-commerce product photos. The perfect size is a crucial part of e-commerce product photos. Never use a very big photo size as well as very small size. Almost all the e-commerce marketplaces have their own product photo size. Such as, Amazon product photo size is minimum 1000X1000px. So, carefully use the perfect and standard photo size in your e-commerce website or marketplace. Another vital point is that try to place or keep your photos in the center of the background. It will add extra advantages. Customers will be able to see your photos properly if you keep in the center of the background. Finally, if you utilize the above valuable point, hope you will get outstanding and unique product photos for your e-commerce website. Increase your product sale by making your product photos catchy. If you need ecommerce product photo editing service, you can test us by a free trial. We are providing best quality product photo editing service at the reasonable price. 100% satisfaction guaranteed. 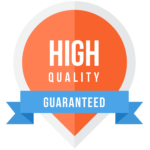 Save your time and cost by hiring us. So, let us know your opinion about this article by comments. All the points are very effective and useful. I think reflection shadow is a very attractive option for special product photos. Thanks. Thanks for point out most important thing ecommerce site. As a online shopping site Appreciating the time and energy you put into your blog and in depth information you provide. It’s good to come across a blog every once in a while that isn’t the same unwanted rehashed information. Excellent read! I’ve saved your site and I’m adding your RSS feeds to my Google account. It was a great helpful post for me.